SMALL SPACE ACCENTS: Side Plates That Pop! How cute are these Pantone salt and pepper shakers? Since most small space dwellers have kitchen decor out and about on counters and shelves, having these colorful accents in your small kitchen space would be a fab addition! 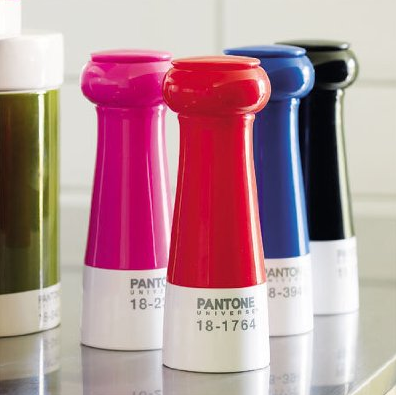 1 Response to "CUTE: Pantone Salt & Pepper Shakers"
Unfortunately, my kitchen only accepts CMYK condiments.